How to Get Rid of Redness on Face? : Who doesn’t like a little color on their cheeks? I mean, after all, rosy cheeks is what people wish for. But excessively flushed faces are not the equivalent of rosy cheeks! Are they? Additionally, it might be a sign that something is genuinely wrong with your face. Not only is it unattractive, but it brings along an abode of discomfort, as it carries along with it pain, oftentimes a stinging sensation or even inflammation. But don’t worry, it is easily treatable. Let us go through a list of simple home remedies that might be effective in curing the issue. Neither of them have chemicals in them, so you needn’t worry about the issue aggravating under any circumstances. 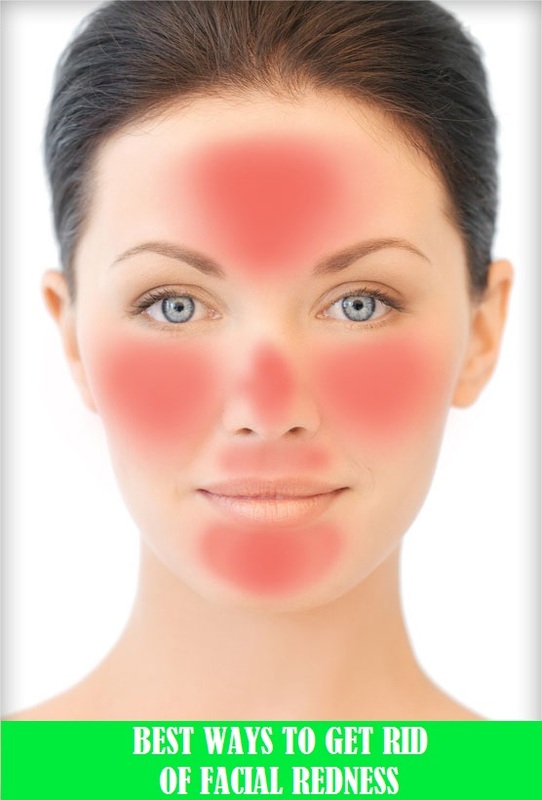 Without further ado, here are some of the best home remedies to get rid of redness on face. The all-time rescuer. As we all know, aloe vera contains polysaccharides (for those of you who didn’t know, you do now). This is what that is responsible for the therapeutic properties of aloe vera; one of which is to treat any kind of skin issue. It also helps bring down inflammation. Ensure to wash your face with clean water and pat it dry. Slice open an aloe vera leaf and scoop out the gel. You may wish to refrigerate this for a while before applying on your skin. Now let it dry. Rinse with cool water and repeat as needed. A few times a day should bring out the best results. Ah, who doesn’t like a nice cup of chamomile tea? Did you also know that apart from being delish, chamomile has been used in many traditional methods to treat inflammation? It can also help get rid of redness on face. Heat some water and soak tea bags into it. Let it steep before removing them. Chill the tea for half an hour. Dip a towel in the tea and dab it against your face. Do this for 15 minutes. Repeat as needed. Green tea has easily become one of the easiest ways for weight loss; an herbal legend if you will. But did you know that it helps promote skin health as well? It is loaded with anti-inflammatory properties. Boil water and steep some tea bags in it. Remove the tea bags and refrigerate the tea. Dip a clean cloth in it and dab it against your skin for 15 minutes. This not only helps reduce inflammation, but soothes your skin. Repeat as needed. Oatmeal is yet another traditional approach used to reduce inflammation and other issues related to skin. Oatmeal has been fighting dermatological conditions from the dawn of time, including skin irritation, inflammation and itchiness. Grind some oatmeal in your blender and mix it with water to render a paste. Now apply this onto your skin and leave it be for 15 minutes. Do not scrub it, the redness might increase. Wash it off with cold water after and pat dry. Repeat accordingly to get rid of redness on face. Flaxseed oil has been beneficial for years to combat inflammation. It also tones down redness and roughness of skin, whilst improving blood flow and hydration of the skin. You may consume flaxseed oil directly every day, for at least a month. I personally love munching on flaxseeds throughout the day to help fight inflammation. Honey has always been a unique gift of nature; it has very strong anti-inflammatory, soothing, hydrating and moisturizing properties of skin. It can, therefore, be used to combat scaling, itchiness, and redness from the skin. Paired up with olive oil, it can combat fungal diseases too. Mix honey with olive oil. Apply this on your face. Gently massage for about 10 minutes and leave it be. Wash off with cold water and pay try. Do this a few times a week to boost the healing process. This has always been an excellent moisturizer for the skin. It is particularly beneficial for those suffering from facial redness, dryness, and tightness. It also has anti-inflammatory properties. Wash your face thoroughly with clean water and pat dry. Use a cotton swab to apply a thin layer of coconut oil on your face. Wait for 30 minutes before wiping it off. Repeat this a few times a day to see enhanced results. This has many anti-inflammatory properties that help bring down inflammation and combat skin irritation and sensitivity. It also works as an antioxidant and wound healer. Mix some turmeric powder with milk or yoghurt to render a paste. Spread this on your face and let it sit for half an hour. Now, rinse off with cold water and pat dry. Repeat as needed. Alternatively, you may choose to drink some turmeric milk. This can be repeated twice a day until you see the symptoms reduce. This oil has many soothing, relaxing effects that many people cannot resist. It also drives out stress and anxiety, so if you’re experiencing those, you know which remedy to give priority to. It further helps in reducing irritation and can apparently get rid of redness on face too. Keep in mind, however, that it is not to be used undiluted. Dip a cotton swab into this diluted oil and apply gently on your face. Repeat this twice a day for a few weeks. Related: What are the best natural ways to get rid of moles on skin? This is a very common remedy to bring down pain and inflammation. It works for facial flushing as it helps cool down the skin. Also it is one of the easiest remedies for this situation. Just ensure that you do not apply the ice directly onto your skin. Drop a few ice cubes into a clean towel. Now gently press this towel against your face a couple of times. Take a break of 10 minutes, and repeat. Do this throughout the day until you find relief. If you wish not to use ice cubes, you may choose to dip a clean cloth into some cold water. Works just as well. Now that you have learnt some of the most effective ways to get rid of redness on face naturally, go ahead and try them out today. Don’t forget to let us know how they worked for you.